The curtain is to go up for the first time at the end of May for a new and exciting drama group for young people in school year 4 and above. 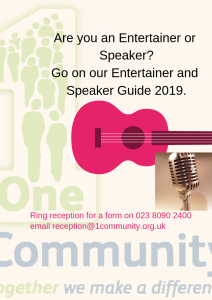 This new group, fund raising forOneCommunity will introduce all interested young people to the joy of putting a show together through their creative and their technical abilities. As the name suggests, STAGING FAITH, is about putting faith on a stage. Young people don’t find it easy to connectwith faith in conventional ways. Some “adults” don’t either!As parents, we take them to church and introduce them to communities, rituals and processes but this doesn’t necessarily mean that they understand or want to be there. Enter Stage Left…..STAGING FAITH is offering the opportunity to share stories from the most famous book in the world (other than Harry Potter!) written for the stage in a modern and relevant or current way. STAGING FAITH will create friendships…..existing and new, the chance to display talent and try out new ways to express individual personalities, the opportunity to put together a show with like-minded people who together are working towards a common goal, the ability to allow the more confident to encourage the less able, a safe environment in which to learn together and share ideas…..and so much more. Uniquely, the initiative also allows for personal growth for young people who may suffer with anxiety or dyslexia, shyness or being “lost under the radar” because STAGING FAITH is all inclusive. Everyone is welcome and no-one is turned away. Most importantly, the cast and crew are encouraged to interact with the script and the delivery. They don’t only get given direction but are encouraged to add their own ideas and/or change what they have been given as a starting point. As Director, I learn from them also and quite often I will need their input more than they need mine! Our first show is not to be missed with two evenings to choose from, show casing cast and crew from Chandlers Ford, Bishopstoke and Fair Oak. I have high hopes that STAGING FAITH will not only help these youngsters to learn more about Christian stories in the Bible but also to learn about other faiths and beliefs as we bring togetherpeople from many different communities. 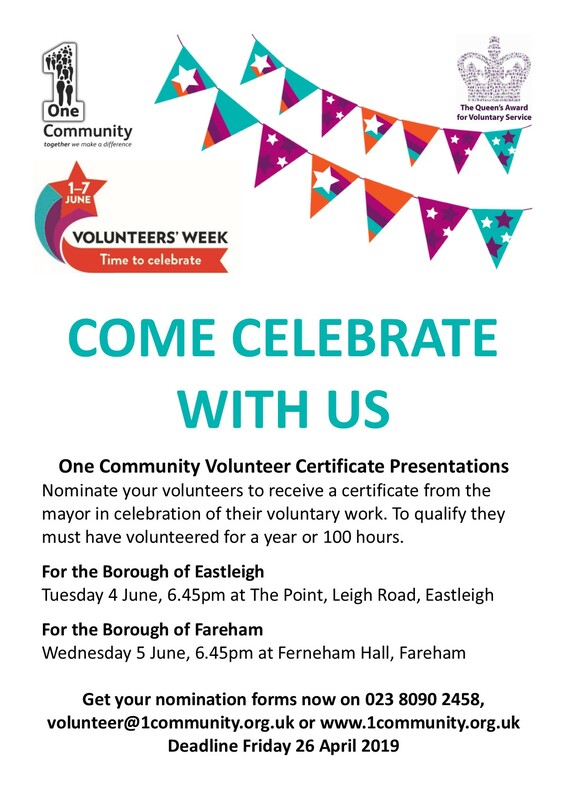 This initiative has been made possible through the generosity of Chandlers Ford Methodist Church with whom I hope to raise awareness for a large part of many peoples’ lives and give our young people a creative outlet in which to explore and connect with the basic ethos of human kindness and acceptance of all types of people who form the communities in which we live. Get up to speed, listen to our podcast! We have been teaming up with Unity101 every Tuesday afternoon for the community hour broadcast. Make a cuppa, grab a pen and paper. Listen in to the lively ladies from One Community on this weeks’ Community hour show. 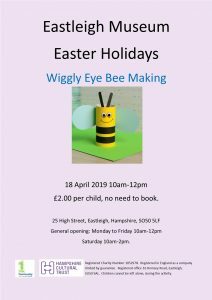 Easter Holidays- Activities for Families. Over the Easter Holidays, we have a variety of activities running at the Eastleigh Museum. 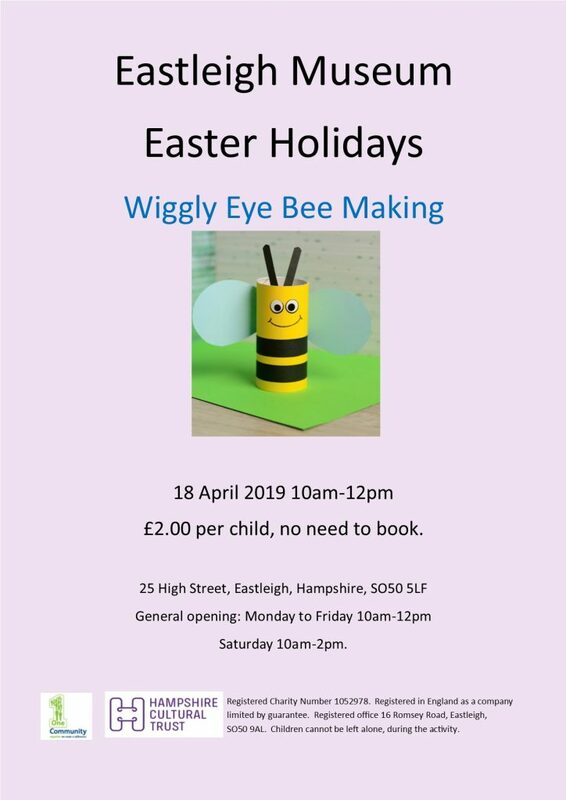 We have an Easter Trail, paper flower making and the wonderful wiggly eyed bees. 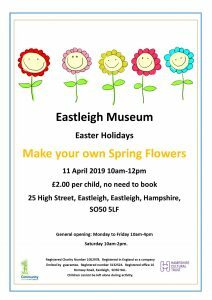 The craft activities cost £2 a go and all are held at the Eastleigh Museum. Children need to be supervised by a responsible adult while taking part, you can all buy a drink and a snack to enjoy while you are with us. 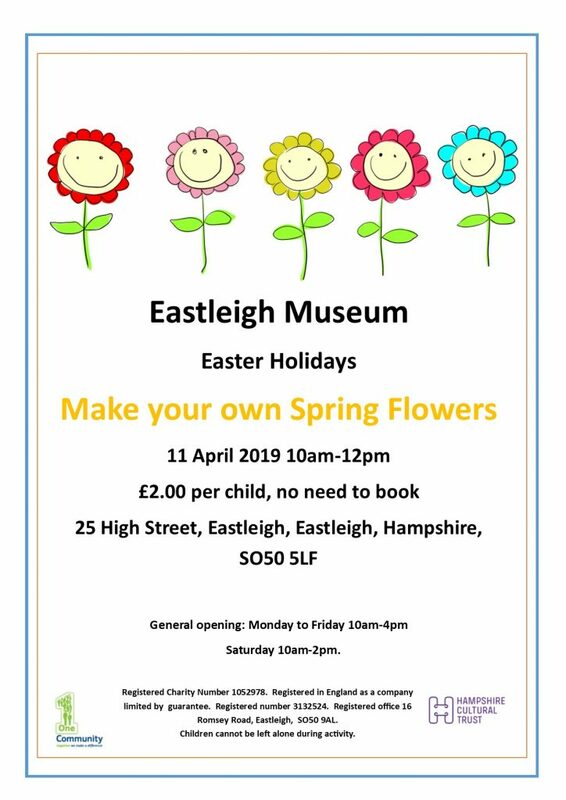 Eastleigh Museum is accessible so all are welcome. 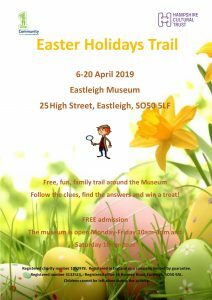 Here are all the posters of our Easter family friendly events for 2019 at the Museum. 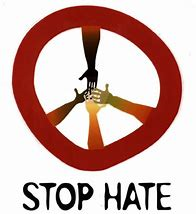 Hate Crime- Report it to us. If you have been subjected to hate crime then please tell us at Eastleigh Museum.